BtoBet is a strategic partner which offers many opportunities and great growth potential for our partnership. BtoBet is a pioneer in new technologies for iGaming operators and the betting industry by using technological intelligence as its main base for its products bringing innovation to the forefront. 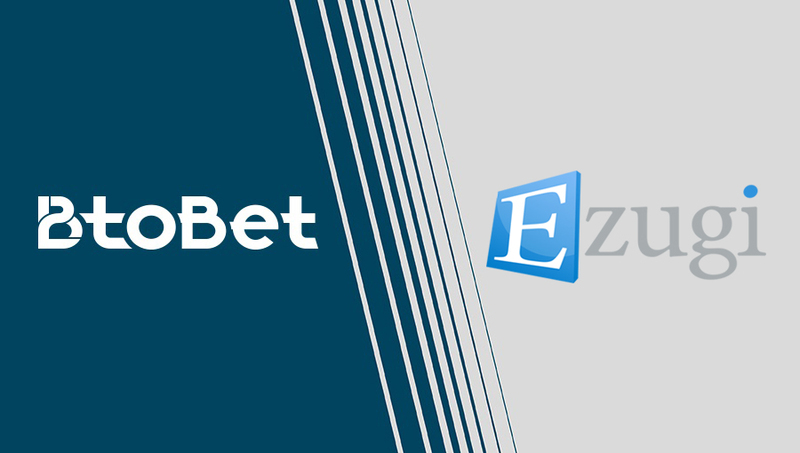 Btobet shares the same philosophy and approach with Ezugi which is about innovation and technology in an ever-changing industry making this partnership a match that will make for amazing advances in the future. The game offering includes the latest Bet behind BJ and the first ever Baccarat OTT which brings the Ezugi suite to 17 games. Our multiple Studio locations are expanding with Queenco being our latest Studio launch, this shows how the demand for the Ezugi Live Dealer solution is growing! The opportunities we have identified will keep Ezugi on the up for years. Ezugi is a leading technology provider specializing in live dealer casino gaming. The Ezugi products & services provide casino operators with the ability to engage their players through the excitement, trust, and sophistication found in the real casino gaming experience. With Live Casino Gaming, off-site players can see, hear, and interact with actual tables and dealers in a live and interactive environment. Ezugi offers numerous Live Dealer games which include Blackjack, Baccarat, Roulette, Bet on Numbers and many more games we have developed for specific markets. Our Over the Table (OTT) product is doing extremely well and offers Land based Casino’s the opportunity to grow their offering exponentially. Ezugi has also recently released their Unlimited Blackjack. Ezugi has numerous offices based in strategic locations and the Live Dealer Studios are also located in numerous countries thus allowing Ezugi to offer a localized service to their players.